Bangalore: It takes Yamini S. at least an hour to reach office, a telecom company that’s less than 6km away. She spends half this time haggling with autorickshaw drivers. “There is not a single day when I don’t pray that there was some way I could just get an auto and hop into it without arguments," the 26-year-old said. There are 86,000 autos plying in Bangalore, but they are not easy to hire, with drivers sometimes asking for a premium on the fare or just simply refusing to go to the desired destination. This spelt a business opportunity for Smart Commuting Services Pvt. Ltd, which started a call-an-auto service called Easy Auto on 15 October. The firm has 51 autos equipped with GPS (global positioning system), making it easy for the nearest driver to reach a commuter within 10-15 minutes. “The idea is to offer an auto service to a commuter in an easy, hassle-free manner, with no extra charges," said chief executive Padmasree H. Sundaram. Easy Auto installs a digital panel on all autos signing up with the firm and earns money by displaying advertisements on these panels. In return, the auto driver gets a monthy wage. Sundaram declined to specify the sum. Smart Commuting plans to have 250 autos on its rolls by January and intends to launch the service in New Delhi, Chennai and Hyderabad within six months. It is now looking at raising capital from institutional investors. Experts say that in India, where commuting services are not efficient enough, building businesses around these could be a sure way of gaining traction. “Sky is the limit for any service that touches the day-to-day life of a customer," said Sanjay Anandaram, founding partner, JumpStartUp Venture Fund. “While Indians are service minded, the current mechanisms for providing services are highly inefficient." Smart Commuting is not alone in providing such services. Thane, Maharashtra-based Ecomove Solutions Pvt. Ltd will launch the first-of-its-kind bicycle service in the city and Mumbai on 1 January. The firm plans to provide an eco-friendly and cost-efficient alternative mode of transport for short commutes by setting up a network of bicycle pick-up and drop points. It has finalized three such locations in Thane, each with parking space for 50 bicycles. “On an average, from a railway station like Thane, it takes 40-45 minutes to get an autorickshaw for a distance of 4-5km. So much time is wasted in waiting and bargaining with the driver," said chief executive V. Ramesh. “With our service, it would take a commuter 20 minutes to reach home." This firm is also looking for funding of Rs1 crore. It intends to launch the service in Pune, Bangalore, Chennai and New Delhi in six-eight months. In New Delhi, two Delhi University graduates have started a call-a-chauffeur service called Home Safe. Within 45 minutes of making a call, a chauffeur will be at your door, promises the firm SNI Hire A Driver Pvt. Ltd. Started in September, the firm has so far attended to 60 client requests. “We have a fleet of chauffeurs across Delhi who have been trained and tested by us. They are well-versed with all kinds of car models," said co-founder Shiven Madan. SNI is planning to get female chauffeurs for women commuters. Though this is a large space, experts said scalability would be a concern for the transportation firms, with their services available in single cities. “Sustainability has to be seen as there is a fair mix of commuting through vehicles in cities," said Abhaya Agarwal, senior professional, infrastructure practice, Ernst and Young India. “How much can an individual model scale up remains to be seen." Investors say that while these services will attract customers, these do not have high entry barriers and can be replicated easily. 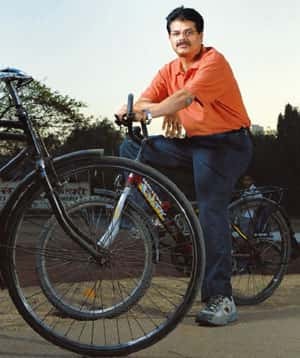 “I don’t know how need for local transport can lead to the formation of a Makemytrip.com sort of a company," said Vishal Sharma, chief executive, Tuscan Ventures, a venture capital fund.